Two stories. Two distinct lives. Two avoidable tragedies. These defined my entry into the world of women tea garden workers of Assam. 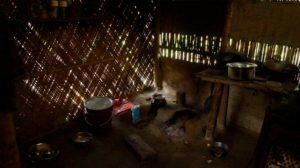 In June 2017, I traveled to Tengapani and Dibrugarh districts to meet the women in tea estates to study the impact of a nutrition intervention. 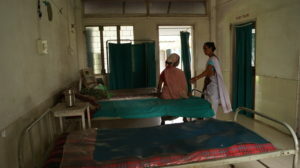 But over the course of one week of my stay there, what came alive is the avoidable deprivation, illnesses, and deaths. 2018, Global Burden of Disease study released by Lancet ranked India 145 out of the 197 countries globally in healthcare quality and accessibility. The ranking gives you pause because the Healthcare Access and Quality Index (HAQ) is based on 32 causes of death that are preventable with effective medical care. Subnational inequalities were particularly pronounced in India with Assam and Uttar Pradesh scoring the lowest at 40, below the national average of 41.2 and a global average of 54.4 in 2016. Earlier this year, in February 2018, Aswhini Kumar Choubey, the Union Minister of State for Health and Family Welfare, expressed concern over the extremely high rates of Maternal Mortality (300 against the national average of 167) and Infant Mortality (44 against a national average of 37) in Assam. It is not for lack of allocation of funds or the number of initiatives from the Centre. There are 81 schemes under the National Health Mission (NHM), and the state received INR 1,056.25 crore but fund utilisation remained abysmally low at 13.58%. There is one doctor available for 3000 people, as compared to the country’s average of one doctor for 1592 people, and WHO recommended the standard of one for 1000 people. What stories do these numbers tell us? An overstretched, struggling to cope, inefficient health system failing its people. Governance initiatives that seem to wrestle with the unresponsiveness to its repeated efforts to improve the health of its people. But tragically also, individual children, women, and men succumbing to the failures of available solutions to keep them alive let alone well. Unlike tea that tastes good when brewed well, the brewing health crisis tends to leave devastating consequences. By logic, health accessibility and outcomes within closed facilities, such as tea estates, should be better as the scope of reach is defined, it allows for targeted care and quicker response to emergencies. Asking why then is change not happening is important. But we need to more consciously and doggedly ask, what could be a solution? It is time to look at innovations in community-based primary health care that focuses on prevention than treatment or cure. Especially when most of the top ten risk factors driving death and disability in Assam are preventable. An ICMR report on the state’s comparative disease burden profile from 1990 to 2016 records malnutrition as the leading risk factor driving death and disability (17.4%) followed by air pollution (8.7%), high blood pressure (7.6%), dietary risks (6.9%), tobacco use (5.7%), WaSH (5.7%) and others. Four out of the ten listed risks can be addressed through behavioral change intervention. These do not need a doctor. Instead, change here needs a cadre of community health workers and a well-trained nurse, who nudge behaviour change through awareness, knowledge, and routine visits; facilitate access to social protection measures that can enable access to the food or WaSH facilities that they are entitled to; and identify and respond to conditions way before they turn into chronic conditions requiring treatment or admission in a hospital. Anita’s fragility to her circumstances is addressable. It’s a two-member household, her retired husband and her. Unlike in large families, with many mouths to feed, they should be able to manage their food. But still, there is insufficient food because she says there is not enough money to buy. And that’s because she is frequently ill, as the diagnosis differs each time, and misses work. Even when they have food, she eats less. Access to monthly ration, savings for emergencies for when it does not come on time, and accurate diagnosis of her illness and early intervention; and changing the norm of women eating less and last can change her situation significantly. 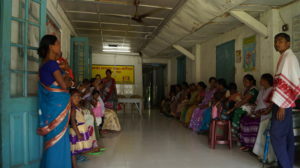 Likewise, Sangita’s sister did not have to die of bleeding during an emergency if the Estate Clinics and the staff were adequately equipped and trained. The presence of estate clinics and the already available staff should be seen more as a sliver of hope that a symbol of what’s not working well. These clinics are the most accessible, local health system infrastructure that can reach out to the people and vice versa. Citing lack of doctors is a lazy way of looking for answers to the problem. We need to look at these as community health and wellness centers around which a primary, preventive promotive healthcare can be designed and implemented. We have to get better at harnessing the power of what’s already working and plugging the gaps, where the system is not. Leverage the health staff and frontline health workers to provide primary care, use technology such as telemedicine and tech-based solutions for protocol-driven treatment and care, and ensure access to social protection; design community health financing to mitigate risks of unexpected health costs, and foster private-public collaboration for adequate resourcing. The narrative of needless violence in losing lives to avoidable illnesses can be rewritten. Go back to the community. Work with what works. Design an ecosystem level intervention.